Is she going to wear those glasses into space? 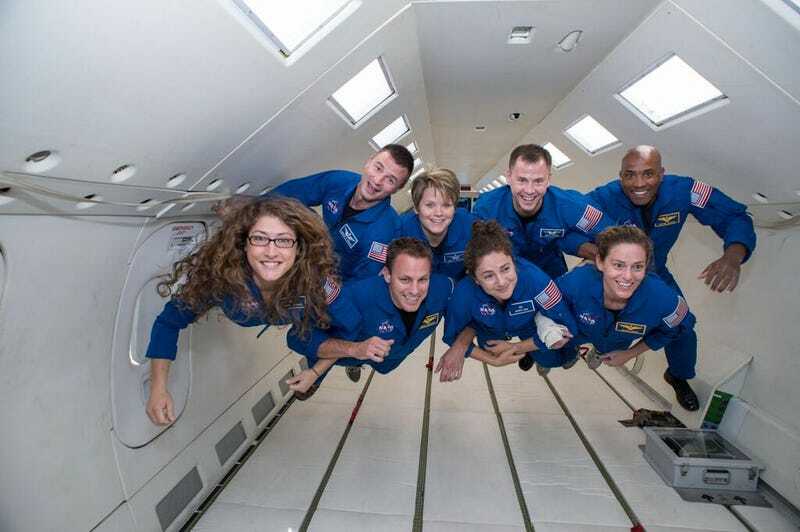 Here are the eight members of NASA's 2013 Astronaut Candidate class on a reduced gravity flight. Two things jumped out at me when I saw this picture. First, no one looks like they're about to puke. Second, what's the deal with Christina Hammock's glasses? I'm presuming she'll get corrective surgery before her first space mission. The need for glasses would be a liability up there.